Following an amazing food collection at Tesco, back in November a Door Team of Staff and Volunteers hit the streets in December to deliver some Christmas Cheer for the families that we support. “We never cease to be amazed by the generosity shown by the people of Stroud. 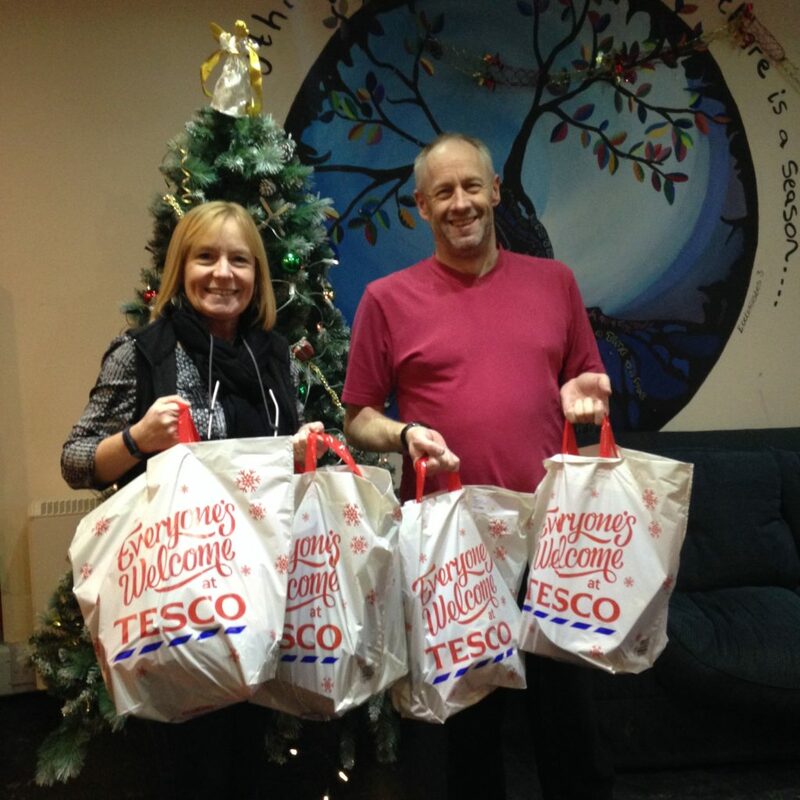 As a direct result an incredible collection of food items at Tesco’s store back in November we were able to make up and distribute over 50 hampers! And not just of the essentials but of special Christmas treats and gifts. Hampers are delivered to families we have supported both past and present and for some can be a lifeline at this time of year. The Door has grown so much since the first few hampers were distributed, with families from every corner of the District accessing our services, getting the hampers to everyone is now somewhat of a logistical challenge; a challenge which was accepted yet again by our brilliant team of dedicated staff and volunteers, who without hesitation went out in teams to deliver the hampers far and wide to Stroud, Dursley, Cam, Wotton and beyond. What might have seemed to some as just a small food parcel, was actually a gift that bought so much hope to so many in our area to let them know they are not alone in their struggles this Christmas.